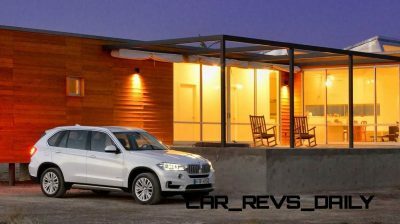 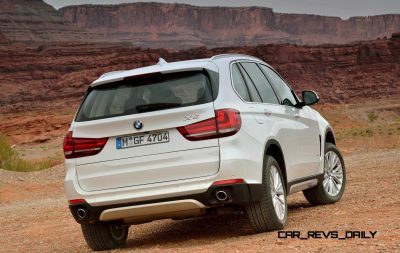 The BMW X5 is hotter than ever before. 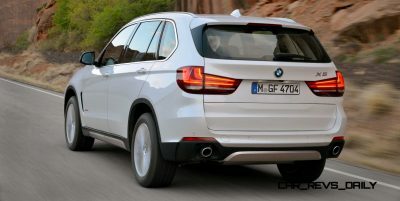 In December 3rd’s WSJ, BMW even cites huge international X5 demand as one of the reasons BMW may lose the number one U.S. luxury sales rank to Mercedes-Benz for 2013. 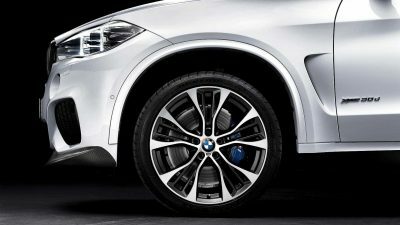 Fun fact: the BMW Spartanburg plant is the largest exporter of American-made cars. 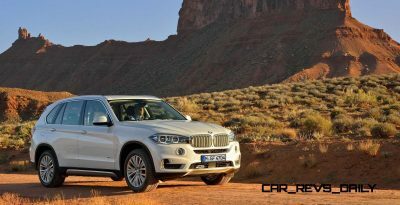 It seems this America-focused truck is far hotter than BMW ever expected in even its most traditional markets. 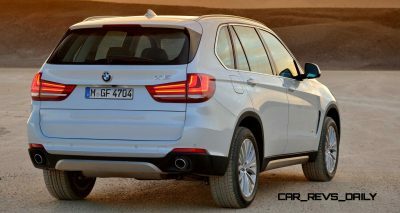 The draw of seven seats and the latest BMW style is huge. 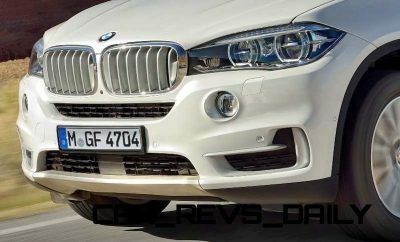 Even before the trucks are on American roads in volume: BMW has revealed some delicious M Performance Parts for the new X5. 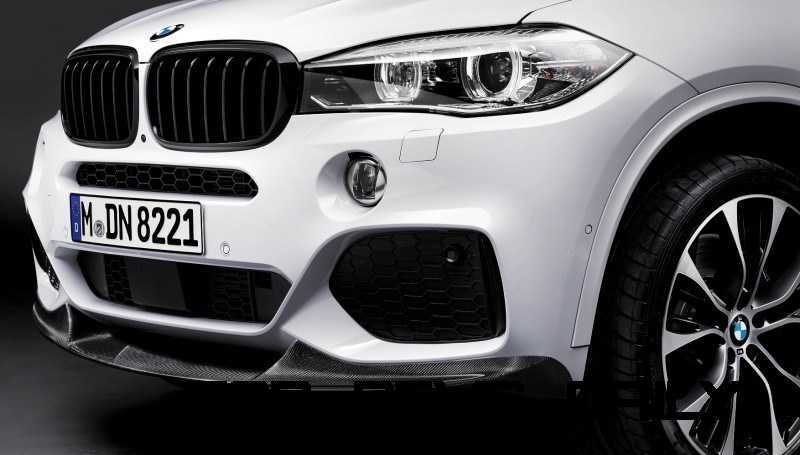 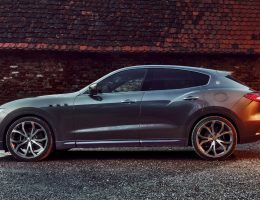 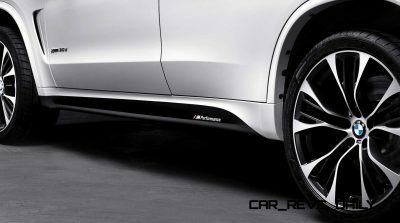 This is news because M Performance parts were previously only available for the X5 M and X6 M.
The appeal of these accessories is clear from the outside: they dramatically lift the overall X5’s street presence. 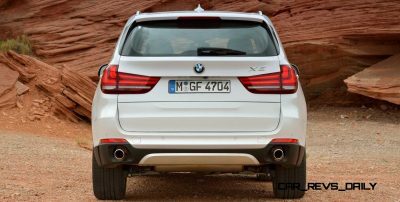 The X5 in the left side of the header graphic is the X-line trim, which helps to demonstrate how different the various X5 models look. M Sport spec, for the X5 sDrive35i looks hot right out of the box. 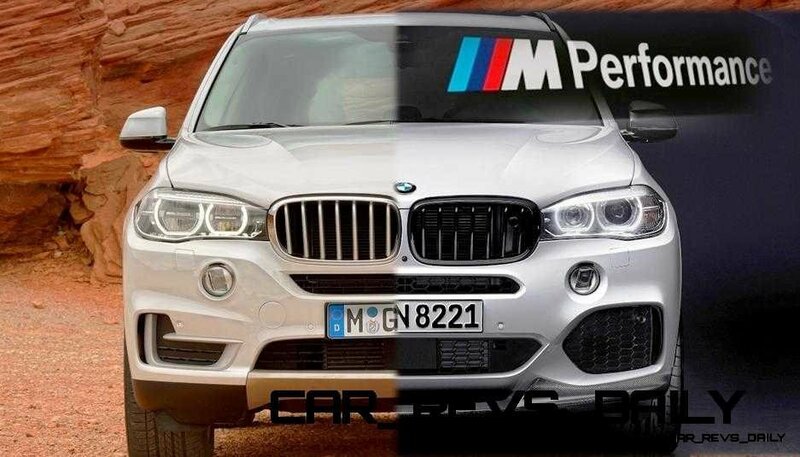 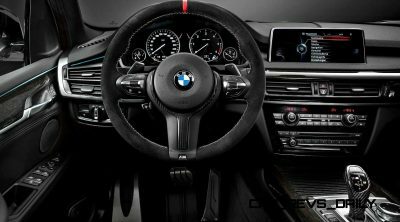 While very, very pricey — M Performance options are original BMW parts and will maintain the vehicle’s OEM appearance — just a far more aggressive one than the stock models! The 2014 BMW X5 is available now, with four drivetrain choices and prices starting at $53,000. 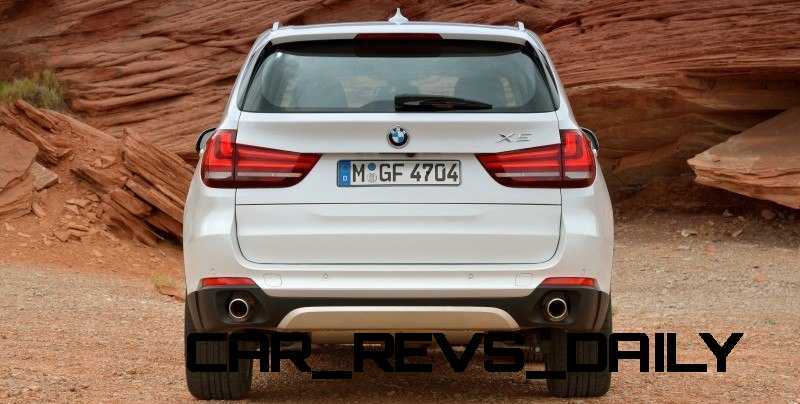 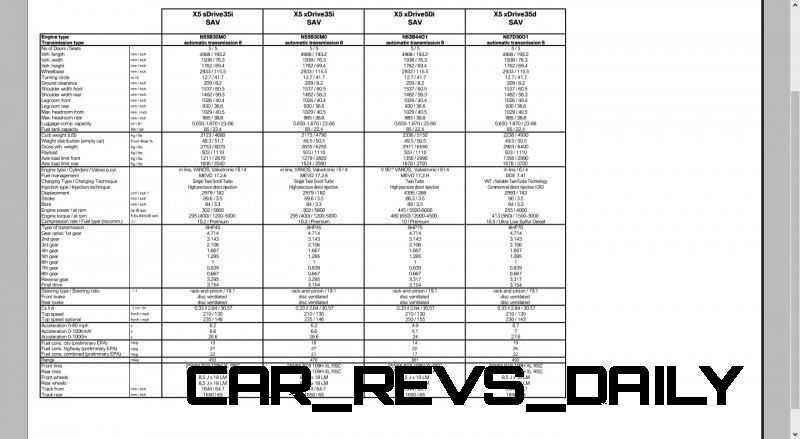 An eDrive Hybrid is on the way for mid-2014 as a 2015 model. 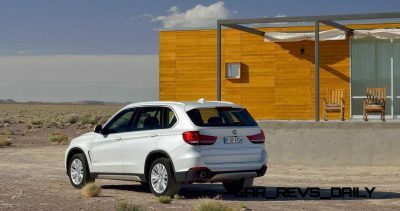 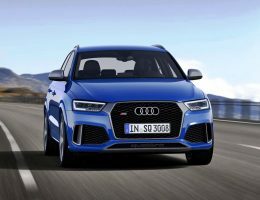 New configurations include the sDrive35i X5 – which is rear-drive – and the xDrive35d, which is a brilliantly torque-y diesel engine and four-wheel-drive. 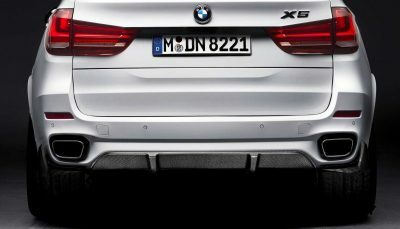 King of the range for now is the xDrive50i, which brings M5-like pace from its twin-turbo V8 – but also room for kids/dogs/skis etc.